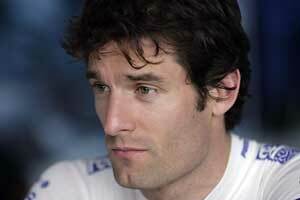 Red Bull Racing has confirmed today that David Coulthard will continue to drive for the team in 2007 and that his team-mate will be Mark Webber. "I'm very pleased to be able to confirm our driver line up for next yea," said team boss Christian Horner. "David has continued to lead the team well and demonstrate the form he showed during 2005. This season he achieved the team's first podium in Monaco and has shown commitment, determination and motivation to deliver at the highest level in Formula 1. It was therefore an easy decision from both sides to extend the relationship for 2007. He's still one of the best drivers on the grid and we're delighted to have him in the team. "Looking to Mark, we chose him for a number of straightforward reasons. One, he obviously has undoubted speed and ability, and two, he appears to have the determination and motivation needed to succeed. We're entering an exciting new phase in the short history of Red Bull Racing and Mark was an obvious candidate for us. He's got a good track record in F1 and we're delighted to have secured his services for next year. We believe that together he and David will form a very solid partnership, which will give us one of the strongest driver line-ups in the field. "I would like to take this opportunity to thank Christian Klien for all his hard efforts for the team over the last two seasons. He will remain a Red Bull Racing driver until the end of the 2006 season, and we will continue to give him all the support that we can during that time."